Rita Dominic is a member of the Royal Waturuocha family of Aboh Mbaise local government area in Imo State. She is the youngest of four siblings. Her late parents were medical practitioners; her father was a medical doctor and her mother a nursing officer. 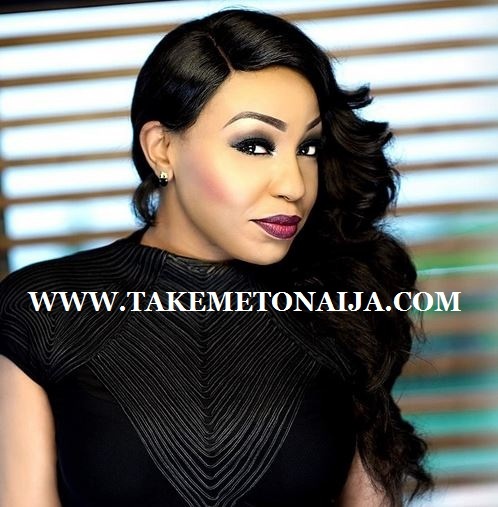 Dominic attended the prestigious Federal Government College Ikot Ekpene, Akwa Ibom State, Nigeria, before heading to the University of Port Harcourt, where she graduated with a BA (Honours) Degree in Theatre Arts in 1999. From childhood Rita Dominic knew, what she wanted to dedicate life to. Before becoming a famous actress Rita played in the performances at school. Also Dominic gained experience during children’s television shows in Imo state. In 1998 Rita made her debut in the film “A time to kill”. Dominic considered to be the most outstanding actress (the City People Awards, 2004). Rita tried her hand in more than 100 Nollywood films. The couple were seen out and about and people quickly put 2 and 2 together and got 7! Speaking with one of Mikel’s aides, he said he was sent by Mikel to go scout for good expensive ring. He also made it clear that Mikel hasn’t been known with so many women, so all fingers point at Rita Dominic.Sadly that story was not true,so Rita at 40 years old still waits patiently for her knight in shining armour.And you never know,we might be seeing those wedding pictures with her husband real soon. One of the most common accusations that Nigerian actresses face is that of skin bleaching.So many actresses have gone from a dark shade to 3 shades lighter skin withing a short time.It seems to be an unwritten rule in Nollywood that to make it you have to be light skin.But the funny thing is,the most popular actresses,Omotola Jalade and Genevieve Nnaji,did not bleach their skin.They have remained the way they were when they started. We are not sure how much Rita has bleached her skin or if she has at all,but she does look a bit lighter than she did when she started out.This could be down to 2 reasons,she is toning or the lighting in films.I would not put her totally in the bleaching bracket because she has always been a bit on the fair side. don’t you ring it yourself? had a relationship in the first place. No thank you. date you just for the publicity. for a relationship but not the kind of drama that appears in newspapers. Is your boyfriend someone we know?